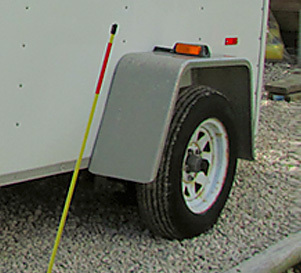 This handy trailer keeps your belongings safe, secure and dry. Our 5 x 8 enclosed trailer can be towed by either our 12 Passenger Van or Surburban and will keep your golf clubs, camping gear and other important items safe and secure until you arrive at your destination. Call us today Toll Free: 1 (855) 340-6300 to inquire about bookings, or visit our homepage to use our online booking request form. Winnipeg River Charter Services is experienced in providing everything from tours to local casinos, to international charters to the US, and everything in between. From our home base in Winnipeg, Manitoba, we are ideally situated to offer a great variety of charter services across Canada and the United States. Whether taking your group across town in a school bus, or across the country in a highway coach, our fully licensed drivers offer the utmost in professional service. © 2012 Copyright Winnipeg River Charter Services. All rights reserved.